It’s mostly an issue of food safety—right now, because of summer temperatures or some other reason, salmonella is everywhere. It’s in chickens, turkeys, ducks, and likely other birds. It’s not limited to one region of the US, one farm, or one processing center. It’s affecting both commercial products, and backyard flocks. 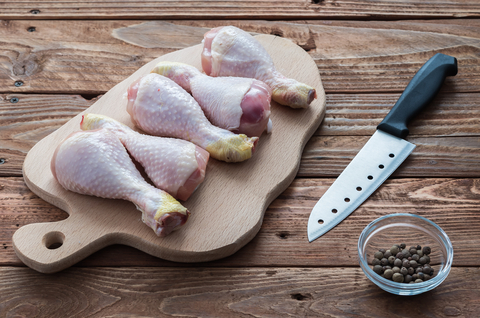 Here’s what you need to know about this summer’s salmonella outbreak. If you come into contact with a bird, treat it as infected. Whether you’re feeding ducks at the park, or preparing a chicken dinner assume that salmonella is present. Wash your hands. Clean anything that comes into contact with the bird (and if you’re in your kitchen, a very wide margin around it. Although many recipes recommend rinsing poultry and other meat before preparing, official agencies recommend against it because of splatter—so make sure that if you do, you’re cleaning a very wide swath around where the bird was). When baking, grilling, or otherwise preparing poultry (or any meat) be sure to cook it to a safe internal temperature. Letting the meat rest before cutting, according to new government approved research, may also help to kill remaining germs. In addition to poultry, several grain products, including goldfish crackers, have been recalled because of possible contamination with Salmonella. Salmonella symptoms include stomach pain, diarrhea, fever/chills, and sometimes dehydration and headache. The current outbreak includes several strains, and while there have been hospitalizations, there have yet to be any deaths. The key to any sort of stomach illness is staying hydrated. Start with water, and escalate to electrolyte rich beverages (like coconut water or sports beverages). Seek medical attention if you’re not keeping any water in. While prevention can help keep salmonella away, you can’t control everything (like an unexpected grain recall for common snacks). Make sure that you’re eating a healthy diet, and supporting your immune system (whether that’s with enough sleep, or external support like colloidal silver! ).